In this article we are reviewing yet another GPT website that promises to give you money for completing different offers on its website. The name of the site is CashCrate, many of you know and many don’t. So we decided to write an article giving not just a review but also everything you want to know about this website. We talk about the sign up, commission, different ways to make money, an honest review and finally in the end short FAQs. 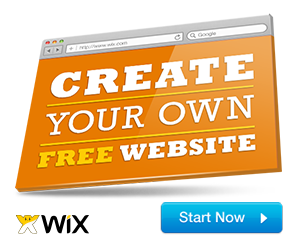 CashCrate is a GPT website that allows you to make money through various means. 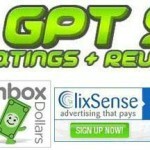 CashCrate is just like other GPT sites InboxDollars Swagbucks. Here you make money by taking surveys, completing short offers, shopping referring other people. We shall discuss about each of them in coming paragraphs. You make money as much as you like. The amount of money you make will depend upon how much hard work you are putting. More the surveys and offers you take up more the money you make. However you should not live in an illusion that you can make thousands of dollars every month because the commission that you get is very less. Completing one survey would pay you 0.50 Cents to 0.80 Cents only. So don’t expect much. 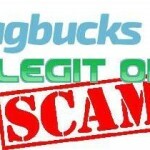 However CashCrate could give you another choice if you don’t like SwagBucks. CashCrate could be another alternative. As I said earlier there are different ways you can make money with CashCrate. We now discuss them one by one. 1. Offers: The first way you make money on CashCrate is by taking up offers. There are two types of offers, paid and free. First we will talk about free offers. You can go to the website and find offers that pay you the most. These offers are provided by certain companies that pay when you sign up. You can go there and choose offers that you like. There are paid offers also where you have to pay from your pocket to get them. Usually you make more money with paid offers. You can finish an offer in five minutes and earn up to $2 or more. 2. Surveys: Next most popular way to make money on CashCrate is through completing surveys. You need to know that CashCrate does not offer you surveys but they do offer on the behalf of other companies. However the money that you make after completing a survey is not much. So do not expect much. 3. 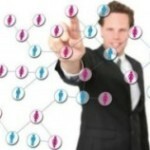 Referrals: Referral is also a great way to make money with CashCrate. They have two tier referral system with multiple levels and payout for each level. For the first tier you get paid 20% of offers earnings and 10% for second tier level. You refer to your friend and get them sign up, you can make up to $10. There are bonuses also. 4. Shopping: Shopping tab is also a way to make money with CashCrate. To put it simply here you don’t make money but you save money while you shop online on a particular ecommerce website. CashCrate has hundreds of merchant’s website where you can go and shop. 5. 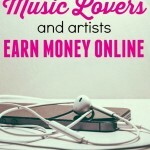 Contests: You could also make money by taking part in CashCrate’s contest. They have monthly contests, daily contests and other contests on regular basis. You can make thousands of dollars by winning a contest. However, you don’t make much money with contests. 6. Games, Videos and Bonus: You can earn by playing games and watching videos online. 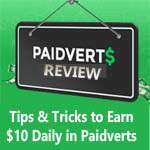 You watch videos online and get paid. Similarly you play games on a website and make money. Bonus services are provided via third party services through RSS. You make same money with Bonuses as you do with offers. You also earn points winning a tournament. So these were few ways you can make money with CashCrate. You can sign up to CashCrate very easily. You have to enter personal details like your name, email and your home address where you are going to receive your check. You can sign up from any country of the world. Use this special link to signup CashCrate. Now we shall also talk about the commission structure. Take the most popular way of making money and that would be Surveys. You can take up to 3 surveys a day and you can make anywhere from $1 to $45 for completing surveys in a day or week. Similarly you can make $3 to $5 per referral. You also make few cents like $0.05 to $1 for watching videos or playing games. Is CashCrate Legitimate or a Scam? This is a good question and my answer is no, Cash Crate is not a scam. CashCrate pays you just like other websites online. So it is not a scam. However you have to keep in mind that Cash Crate does not pays you well. You have to really work hard to make few dollars. So Yes it is not a scam but earnings are low. Well you get paid on monthly basis through check. You get paid on 1st of every month and check would reach to you via mail by 25th of the same month. The threshold income or minimum payout is $20. So you have to earn up to $20, only then check would be released. I do have an income proof of the check I received sometime back. I don’t work for more than 15 minutes a day on CashCrate. I made $43.84 in the first month, $45.56 in the 2nd month $97.13 in the last month. I will be showing the scan copy of the first check below. Now I am going to give you an honest review of Cash Crate. First I will tell you who all should go for CashCrate and who all should not. 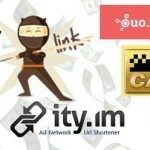 If you have a lot of time while you are surfing internet then CashCrate is great for you. Because the work here is very time consuming. So if you don’t surf internet for long time then don’t go for CashCrate. Next is money factor or commission rate. The money that you make is very less. Like if you work very hard then you will make only $100 to $150 per month. So if you are serious about making money online then don’t go for CashCrate. In other words CashCrate is for casual people who use internet for just fun. Now we shall talk about problems that you face while taking up surveys. The survey rate is less. It means you will receive only 2 to 3 emails a day for taking up a survey. If you are serious about making money with Cash Crate then money is very low. Then the qualification percentage for a survey is also low. They might reject you if the company is not satisfied with your work. So qualifying rate is low. 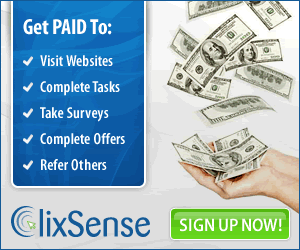 You can also check 20 online survey sites to make more income from surveys. Now brief FAQs that you might want to know. Q: Is CashCrate a Scam? A: No, it is not a scam. I have shown my scan copy of check that I received. Q: Is their Age Limit to Join? A: Yes you must be at least above 13 years old. Q: How Do I Make Money with it? A: There are different ways to make money but the best way is by taking surveys and through referral. A: You get paid on 1st of every month and the check will receive to your home before 25th. A: You get paid by check only. Q: What is The Threshold Income? A: The threshold is $20. Finally I would like to give some tips with CashCrate if you are serious with it. Make more referrals because that is the best way to make money as commission is really good. Do not go for shopping offers because you don’t make hard cash. 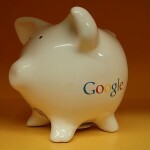 Use Gmail account for receiving survey offers. Go for free offers first because they are easy to finish. If you are serious with CashCrate only then go for CashCrate paid service. So this was complete information about the CashCrate. 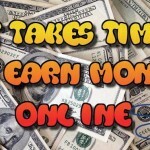 If you are looking for more ways to make money online then check this list of online jobs where you can make extra income in part time.